Russia’s Defense Ministry has accused the U.S. military of keeping tens of thousands of people in a refugee camp in southern Syria against their will. The ministry said Tuesday that the U.S. military has prevented 35,000 Syrians from leaving the Rukban camp. It charged that the U.S.-affiliated rebels extort money from those who want to leave . The ministry released satellite images of the camp, arguing that they prove that conditions in the camp are miserable. Russia has repeatedly accused the U.S. of failing to provide proper living conditions in Rukban, home to about 40,000 people. Food and medicine deliveries to the camp have often failed due to poor security. The Russian military said the Syrian government last week sent a convoy to evacuate the camp, but the U.S. refused to let it through. The wife of a French militant who had joined the Islamic State group says her husband, Jean-Michel Clain, has died of his wounds in Syria. She spoke to The Associated Press at a screening area after leaving the village of Baghouz, the last sliver of land still in the hands of IS militants. She says her husband joined IS along with his older brother, Fabien Clain, one of Europe’s most-wanted members of the extremist group. Fabien Clain was killed in a strike by the U.S.-led military coalition in Syria in February. Dorothee says her husband was also wounded in the same airstrike and died of his wounds two days ago. A spokesman for the U.S.-backed Syrian forces fighting the Islamic State group says thousands of people, including militants, have left the last area held by the extremists in Syria. Mustafa Bali tweeted that about 3,000 came out of the village of Baghouz in eastern Syria on Monday through a humanitarian corridor established by the Kurdish-led Syrian Democratic Forces for those who want to leave or surrender. 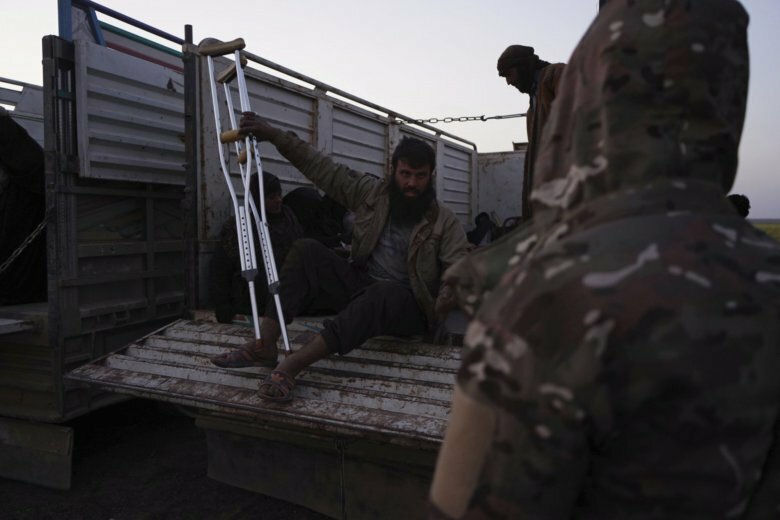 The evacuations came as the U.S. backed forces slowed down their latest push on Baghouz, which resumed last week, to allow civilians to leave the tiny enclave. It’s unclear how many IS militants and civilians remain inside, but the number is likely in the hundreds.